So now that you know how much I enjoy eating food off the bone, The Baron is another story. He's not a fan. In fact, for the past several months we've been together, I didn't even notice that he has issues with food on bones. Namely, he prefers to remove meat off the bone before eating it - something he informed me of after I asked him why his ribs still had plenty of meat left on them after dinner one night. Ha! He's this way when it comes to ribs, chicken wings and pretty much anything served on the bone lol. 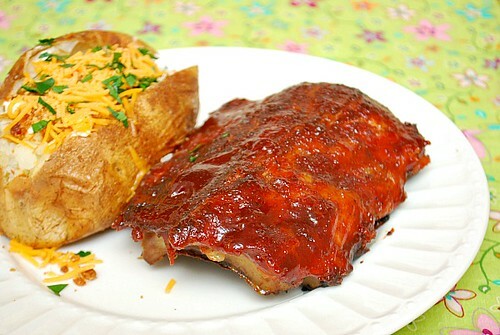 Nonetheless, we enjoyed these ribs and they were wonderful with a loaded baked potato and salad. Mix the rub ingredients together well in a small bowl. Remove the membrane from the bone side of the ribs, then rub the vegetable oil onto the ribs. Pour the rub over the ribs and work the rub fully and evenly into the ribs. Spread the ribs out evenly on a foil-lined baking sheet. Bake until tender and juicy on the inside and crispy on the outside, about 2 to 2 1/2 hours. 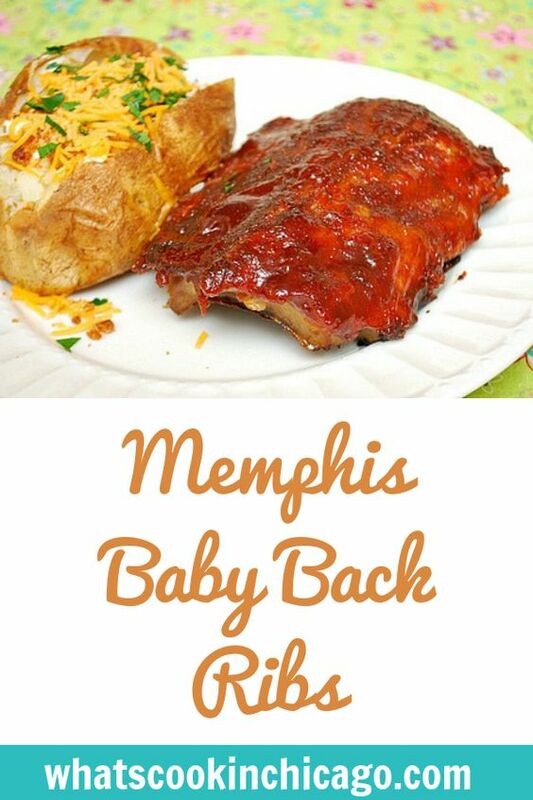 In the last 10-15 minutes of baking, brush the tops of the ribs with your preferred BBQ sauce and continue to bake for 10-15 minutes. Serve with your preferred BBQ sauce if desired. I am so with you on the bone eating.